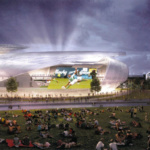 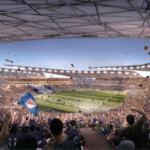 After David Beckham and his Major League Soccer (MLS) partners unveiled the first glimpse of their billion-dollar, 73-acre soccer campus in early July, details about the development, and Miami’s possible first MLS team, have been coming fast and furious. 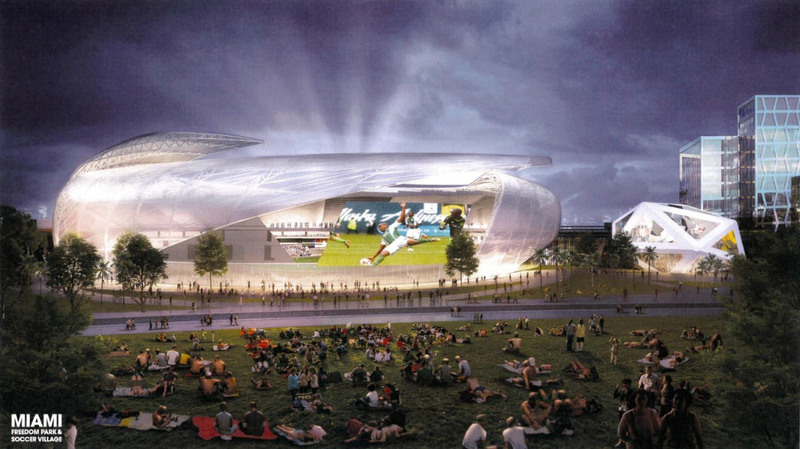 This morning, Beckham, the potential Miami football club’s owner and president, unveiled the new name and logo of the team. 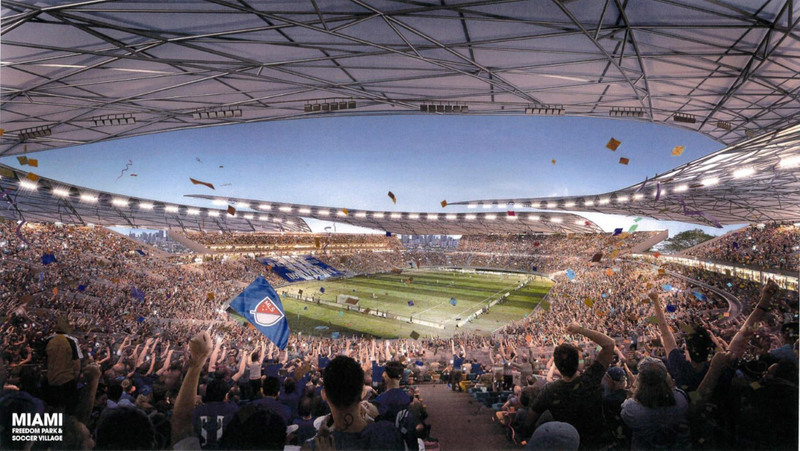 “Club Internacional de Fútbol Miami,” or Inter Miami CF, are scheduled to begin playing in 2020 if all goes according to plan and will be represented with an emblem that combines Miami’s signature pink with a pair of herons. 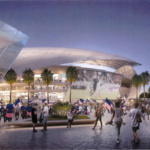 Beckham and team co-owner Jorge Mas claim that every part of the team’s identity references Miami’s diverse global population, from the name to the “M” shape formed by the birds in the logo. More information about the contentious Miami Freedom Park soccer complex has also been made public. 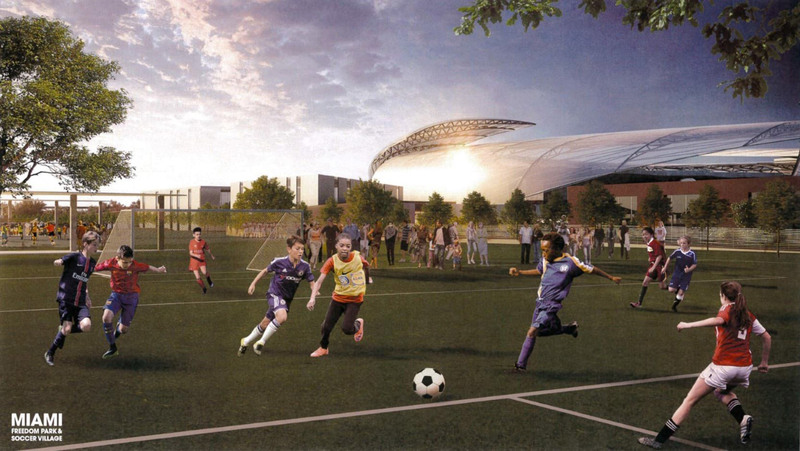 The potential development would rise on the city-owned Melreese Country Club golf course, and Beckham and partners successfully convinced city commissioners to put the development on the ballot in November. 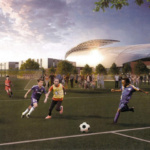 If voters approve, Beckham’s partnership would lease about half of Melreese from the city for 39 years (with an option to extend their lease to 99 years), while the city would need to renovate the rest of the country club using taxpayer funds. 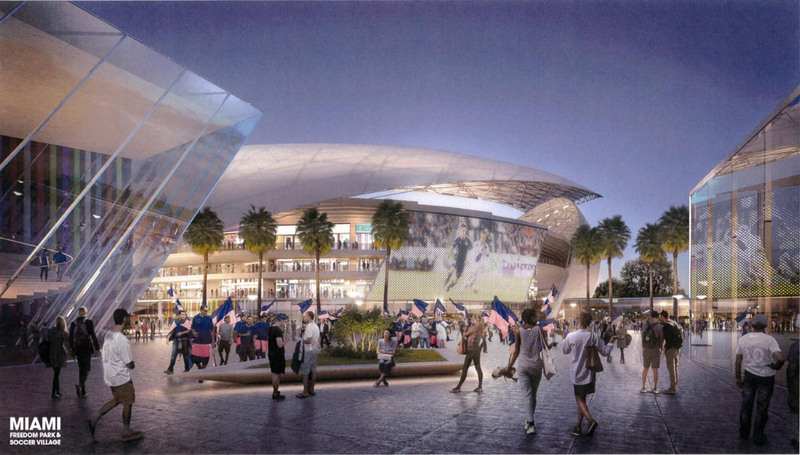 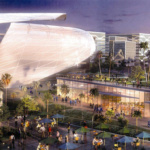 Beckham and Mas have enlisted hometown favorite Arquitectonica to plan and design the complex. 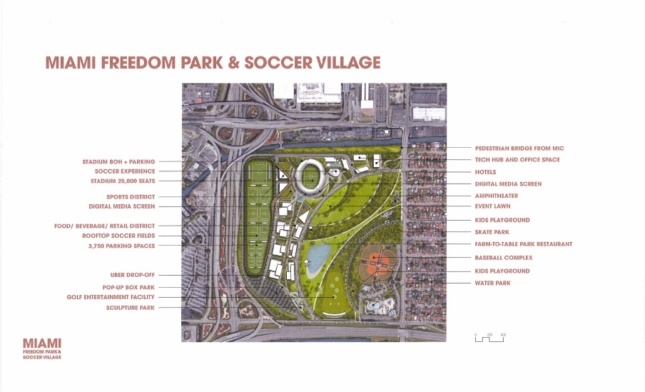 In addition to the 10.5.-acre, 25,000-seat soccer stadium that anchors the plan, Freedom Park could contain 23 acres of soccer fields, 3,750 parking spots (a radical departure from Beckham’s first stadium proposal), 600,000 square feet of restaurant and retail space, 750 hotel rooms, and 400,000 square feet of offices. 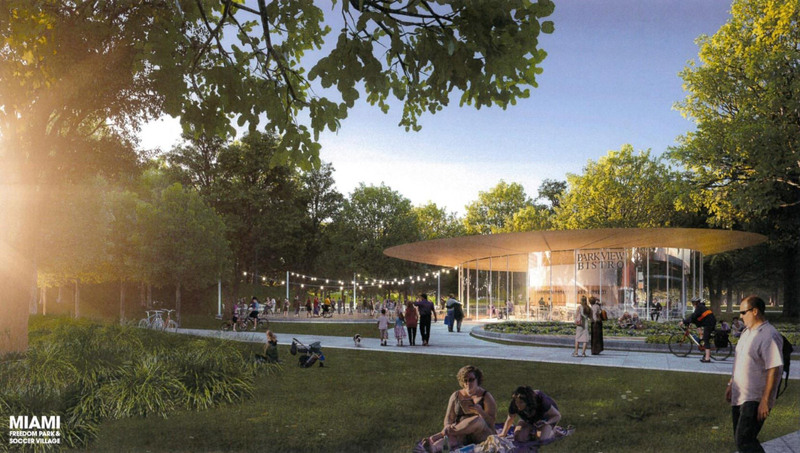 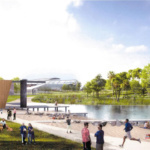 In the updated renderings, Arquitectonica has included a playground, skate park, and golf facility on the city-owned portion of the park, which, if built, would be constructed with public funding. 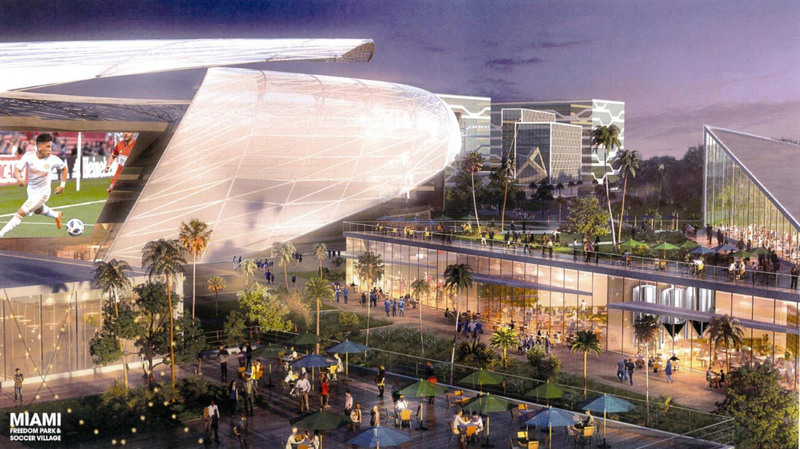 The curving canopies of the stadium, which swirl around the open field and resemble an aperture, will extend out to beyond the building proper and seemingly cover other public areas. 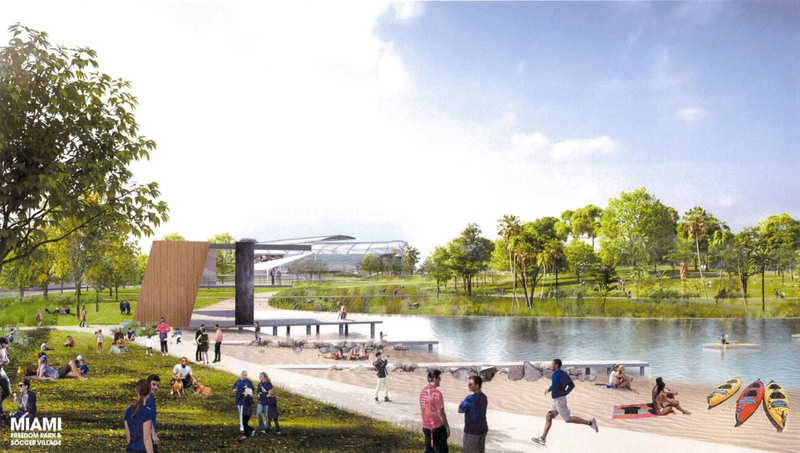 Miami residents will vote on whether to move ahead with Freedom Park this November.